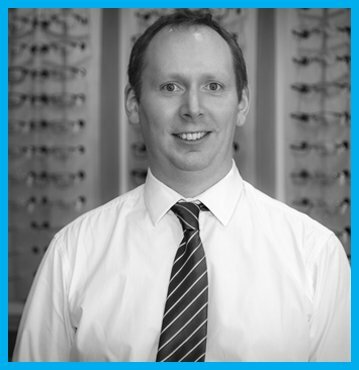 After graduating from Cardiff University Stephen completed his pre-registration training in England, before returning to N. Ireland to take up the role of optometrist within the Harris Rundle practice on the Cregagh Road over the next 14 years. Stephen then took ownership of the practice when the opportunity arose in late 2016. He seeks to continue to provide the high quality service his patients have become accustomed to. You’ll then have a series of checks using the latest, advanced eye care technology, including retinal photography (on all suitable adults), which is a detailed digital picture of the back of your eye. As well as diagnosing if you need help with your vision, we’ll check your eyes for signs of serious eye conditions, like glaucoma or macular degeneration. Once the tests have been done, you can discuss the findings with Stephen and ask any questions you like. If you need help with your eyesight, you’ll be given a prescription for the lenses. Of course, we hope there won’t be any serious problems, but if there are, you can be sure we’ll discuss them with you clearly and sensitively. Helpful, professional, speedy service and really go the extra mile to help. Such amazing service & friendly staff. I would highly recommend! Booking your eye examination at our Practice couldn’t be easier. Simply call us on 028 9045 6594 and speak to a member of our friendly team or fill out the short form below and we will get back to you as quickly as we can.